Hand poured in the USA with up to a 120 hour burn time and delivered in a handblown art glass vessel, our Champagne, Penthouse candles are naturally luxurious. Step onto the penthouse's terrace to a civilized Sunday brunch overlooking a blanket of green that is the park below. A platter of grapefruit dotted with raspberries is offered. Would you like ginger tea, a mimosa or a glass of champagne? Perhaps a taste of each? 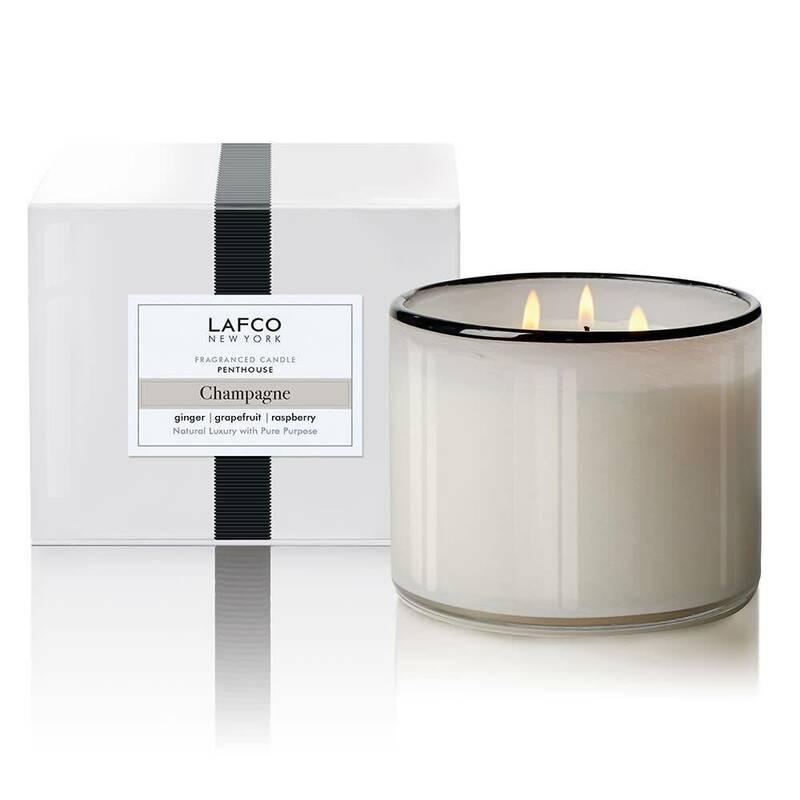 Sparkling grapefruit, Tuscan lemon and ginger are gently calmed by rose, neroli and verbena.